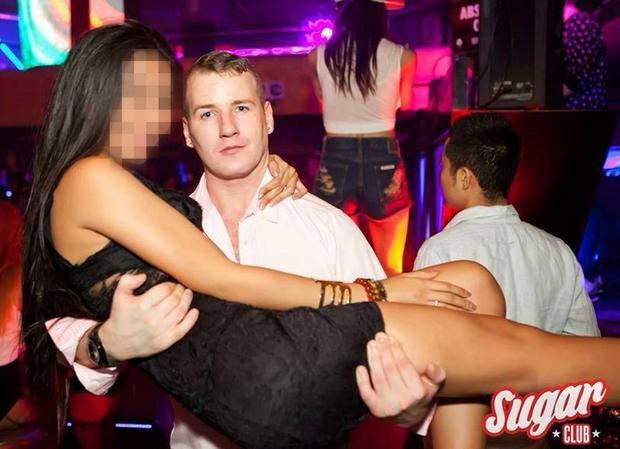 On-the-run dissident republican Tommy Diver has bagged himself a new girlfriend – a Thai pop star. The 28-year-old has been boasting about his new love – Bangkok beauty Nat Kan – on social media, telling pals: “I’m head over heels - and not coming home”. The award-winning singer, who is a huge star in her native country, is also said to be “smitten” with the Strabane-born republican. The Glass Heart singer posted a Facebook picture of her clinching Diver’s hand during a dinner date last week, while the Strabane born republican also uploaded a snap of his new girlfriend. Replying to one pal who described his new pop star love as “gorgeous”, Diver said: “Every women I have ever been with has been beautifull....looks are least important in a relationship it’s respect and how u treat eachover. thanks guys” (sic). Miss Kan is the latest in a long line of Thai beauties the mankini-wearing dissident has been romancing since fleeing to Bangkok in Thailand in December. Since moving to his Thai hideaway, he has been a regular on the south-east Asian party circuit, posting regular updates and snaps living it up in the Thai capital. But it’s not clear if the dissident Casanova has told any of the women, including his new girlfriend, about his terror past - and why he fled Belfast. Police want to question the prominent dissident republican about alleged meetings of the Continuity IRA terror gang that took place inside a bungalow at Ardcarn Park in Newry last year. The property was bugged by MI5 and detectives allege the recordings detail how the terror gang was planning attacks on police and prison officers. Ten men have since been charged with a series of offences based on what is alleged to have been said inside the house. Among the prominent dissidents arrested in the raid last November were Patrick “Mooch” Blair, 59, Liam Hannaway, 44, and 73-year-old Joe “Tiny” Lynch. The last two men to be charged were 41-year-old Kevin Heaney and 54-year-old Terence Marks, both of Newry. Limerick man Sean O’Neill, 75, is the oldest of all suspects. It is understood that detectives still want to question Diver and another dissident republican in relation to the alleged murder plot. But Diver is showing no signs that he intends coming home. Sunday Life revealed in May how defiant Diver has been living it up in the Thai capital with a string of brunette beauties. And how he is even teaching teens literacy and language skills while also taking Thai lessons with the aim of securing a visa to stay in the country. Posting news to pals on Facebook earlier this year, a delighted Diver said: “Just back from a few days in Laos, got my student and teaching visa to teach English language and to study Thai language. He also told pals he had been wining and dining Thai beauties over there and has even told pals back home he is been dating one of Bangkok’s “biggest models”. The hardline republican was detained by detectives last year in connection with the Good Friday gangland assassination of ex-Continuity IRA chief Tommy Crossan in Belfast. He was later freed without charge and contacted this newspaper to brand his arrest a “joke”.